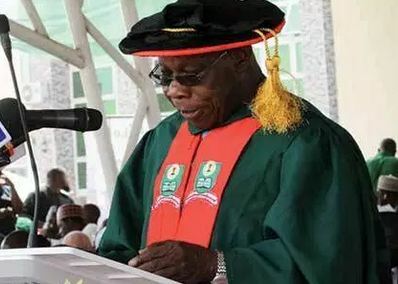 Former Nigeria’s President, Olusegun Obasanjo, has denied a claim by the National Open University of Nigeria (NOUN) that it pays him an annual allowance for his role as a facilitator of the university. Naija News had reported that the Vice Chancellor of the institution, Prof. Abdalla Adamu while speaking on Obasanjo’s earnings, stated that the former President earns N40,000 annually as a supervisor of NOUN in Abeokuta Study Centre in Ogun State. 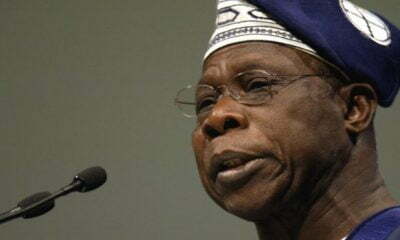 Adamu while addressing journalists, revealed that Obasanjo who holds PhD in Christian Theology has two students in Theological Studies attached to him. “We have another big fish that we have appointed as a facilitator and we will announce him when we have given him an appointment letter,” he had said. Responding in a statement by his media aide, Kehinde Akinyemi, Obasanjo denied Adamu’s claim, saying he renders service to the university free of charge. The former President called on Adamu to retract the statement and offer him a public apology. Obasanjo said: “the very clear quotation of the Vice-Chancellor made it necessary for him to make the clarification and to set the records straight on his engagement with the university. “Ordinarily, this will have been unnecessary exercise, if it has been the usual shenanigans of the media to sell their newspapers. But, the very clear quotation of the Vice-Chancellor, Prof Abdalla Adamu, on the headline made this clarification imperative and to set the records straight on His Excellency’s engagement with the University,” the statement added. “In putting the records in right perspective, His Excellency wishes to draw the attention of the Vice-Chancellor to his letter dated 12 April 2018, which was written to the University Registrar, Mr. Felix Edoka, when the Council offered him a Part-Time appointment as an Instructional/Tutorial Facilitator and Project Supervisor in the Faculty of Arts at the Abeokuta Study Centre”. Obasanjo said he had not received a dime either as salaries or otherwise from the university. “The publication, which has generated mixed reactions from the general public and calls from far and near on the elder statesman expressing concern, is, to say the least, embarrassing, uncharitable, mischievous and in bad taste, with immediate demand for a retraction and apology from the Office of the Vice-Chancellor,” he added.